Chad and Stephanie lay out the seven biggest threats we all face and how they are keeping us from maintaining a positive outlook. You are constantly being attacked by forces seeking to break down your positive mindset. In this episode, Chad and Stephanie lay out the seven biggest threats we all face and how they are keeping us from maintaining a positive outlook. 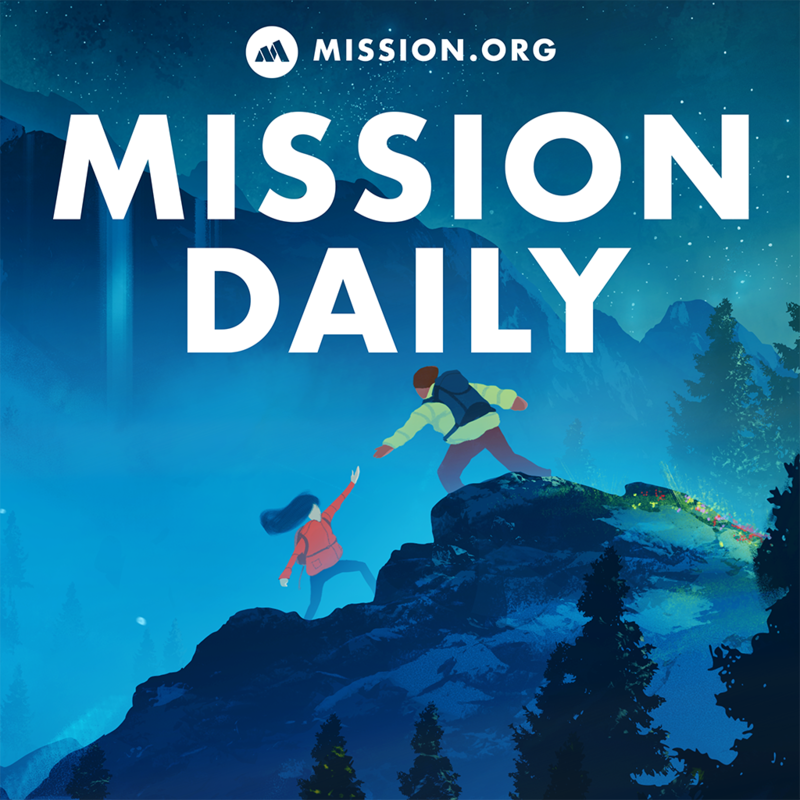 If you haven’t heard yet, Mission Daily is currently half-way through its Mindset Week! If you missed it, be sure to check out our interview with Shawn Achor. A lot of our discussion this week is based on Shawn’s interview. We’re currently taking recommendations for future theme weeks, so if there’s a topic you want to hear some in-depth discussion on, hit us up on Twitter (@TheMissionHQ). Nearly all of your fears are unfounded. And the fears you do have are usually of the wrong things. As Chad points out, you need to explore your fears and figure out what’s causing them. Remember, fear is often based in the unknown, but not everything that’s unknown is malicious. A useful strategy is to find someone who can give you a second opinion. Oftentimes, you’re too close to the dilemma, so it helps to get outside perspective from someone who is important in your life and has enough context for the issue you’re facing. Everybody gets angry, and that’s okay. Anger is a normal human emotion and if you try to suppress it, it will always hurt you more in the long run. The real issue comes in how you express your anger. You need to find a healthy vent for your emotions. You should never take out anger on those around you who don’t deserve it. Take time to explore where your anger is coming from. Look for the source and then root it out. The specific Mark Twain story Stephanie mentions is from Life On the Mississippi, a great read if you’ve got the time. If you don’t, here’s a shortened synopsis of the story. This one’s easy; don’t be a hater. What does it get you? If that person ends up being successful then you just wind up looking like a jerk. Even if that person doesn’t end up being successful, you still look like a jerk. Envy and hate is a no-win situation. When you worry, you’re only thinking about what-if scenarios that won’t ever come to pass. Worrying also takes important mental processing power away from useful things like problem-solving that can help you actively prevent any future issues. Don’t be a worrier, be a problem solver. This one doesn’t really need a lot of explaining… ;). Alcohol is a depressant, and while it may make you feel good for a while, it can wreak extreme havoc on your long-term mindset. Have you ever woken up after a night of heavy drinking and said, “Wow! I am happy, filled with joy and ready to greet the day!”? News can spread fear, uncertainty, and doubt. Choose what you consume and your mindset will adjust accordingly. How does a murder mystery that took place across the country impact you? Answer; it probably doesn’t. Try to remember that everything in your life is going well and just try to focus on fixing the things that are going wrong around you. If everyone in the world adopts the habit of bettering their local sphere, it will make the world a better place.